Jumbo Electronics has partnered with E-Commerce firm Flipkart to exclusively launch the YotaPhone, a dual screen smartphone. Earlier this month, the device was spotted on Flipkart, indicating that it might go on sale soon. The device will be available for Rs. 23,499 in India, starting 17th October. The USP of the device is that it comes with two displays – a primary 4.3-inch HD LCD display, while the secondary one is an 4.3-inch E-Ink display on the rear with a strange resolution of 640 x 360 pixels. The secondary E-Ink screen will come in handy for viewing notifications, updates and also reading a full fledged E-Book, reducing power consumption and light glare. 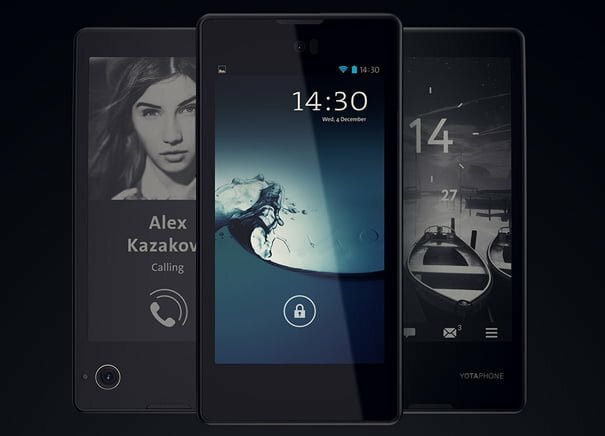 The YotaPhone boasts of a 1.7GHz quad-core Snapdragon 400 processor with 2GB of RAM and 32GB of internal storage space. It sports a 13-megapixel primary camera and a 1-megapixel secondary front-facing camera. The device runs on the dated Android 4.2.2 Jelly Bean operating system and is powered by a 1,800mAh battery. Its connectivity options include Wi-Fi, Bluetooth 4.0, GPS + GLONASS, and microUSB v2.0 port. It weighs about 146 grams and is 9.99 mm thick. This phone will be a good choice for people who like to carry a single device which can even cater to their E-Book reading experience. The successor of the YotaPhone comes with high-end specifications such as a 5-inch 1080p display and a Snapdragon 800 processor but it hasn’t been launched in India yet.